Star Resin Sculpture Trophies. 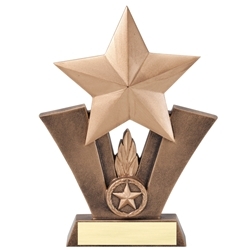 These star trophies are available in 6" and 7.5" sizes. This star award makes a great economical recognition award. Item Size 6" or 7.5"